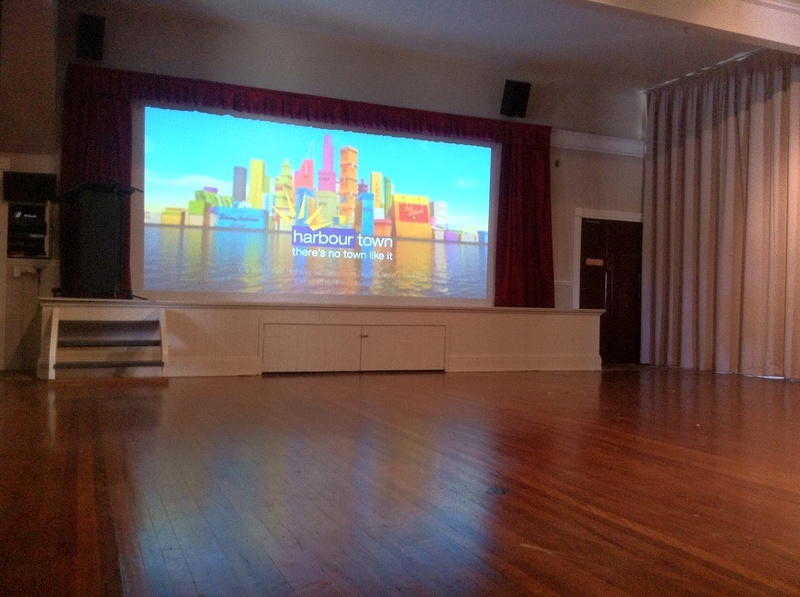 Our event space with projector running. The screen is 4m wide full High Definition. There is a 5.1 surround sound system and lectern with microphone.